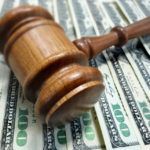 A New Jersey resident pleaded guilty to orchestrating two auto accident staging scams in 2010 that resulted in insurance payouts of $179,210 for medical treatment and personal injury settlement proceeds, according to officials. New Jersey’s Acting Attorney General John Hoffman and the Office of the Insurance Fraud Prosecutor announced Monday that Olivares R. Liberato-Cohen of Passaic, New Jersey, pleaded guilty to one count of second-degree conspiracy to commit theft by deception. The state will recommend a five-year state prison term at his sentencing hearing, scheduled for February 2015. He and his co-conspirators will be required to pay restitution in the full amount of $179,210. Authorities said Liberato-Cohen admitted that he was the lead organizer of two staged auto accidents that occurred in 2010. He was the interface between the medical providers and the other co-defendants. He recruited the participants, directed how the accidents were to occur, and then told the participants where to treat. Liberato-Cohen is also facing charges from a separate indictment that alleges his planning of another staged car accident in 2009. According to that indictment, he allegedly recruited four indicted co-conspirators to participate in the staged auto accident. An investigation determined that he allegedly purposely drove his Dodge Caravan containing three co-conspirators into a Dodge Avenger, driven by an unindicted co-conspirator. Three of the participants in that scheme pleaded guilty last month to charges related to the scheme. The investigation by the state’s Office of the Insurance Fraud Prosecutor began as part of Operation Bang-Up, which targeted several auto accidents that occurred in Passaic County during a four-year span from 2009-13. Insurers Plymouth Rock, GEICO, CURE and RepWest have provided assistance in the investigation.